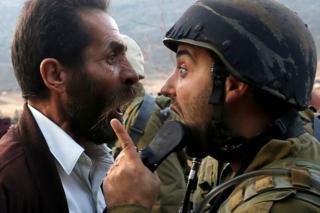 Image caption A Palestinian man and an Israeli soldier argue during clashes over an Israeli order to shut down a Palestinian school near Nablus in the occupied West Bank. 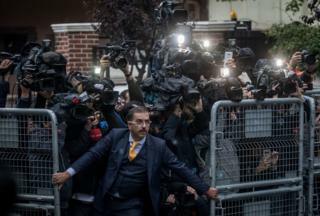 Image caption A man attempts to hold back press at the Saudi Arabian consulate in Istanbul as Saudi investigators arrive ahead of Turkish police amid a growing international backlash to the disappearance of journalist Jamal Khashoggi. Turkish officials have said they believe he was murdered inside the consulate. 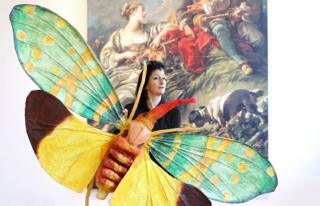 Image caption Turner Prize nominee artist Monster Chetwynd is seen with her installation, entitled Lanternfly (2018), which is part of a new exhibition at the Scottish National Gallery of Modern Art in Edinburgh. Image caption A 1,000m-long spiderweb covers the road beside Lake Vistonida, near Xanthi, northern Greece. Warmer weather in the country and an increase in the mosquito population are thought to have contributed to the rise in the number of spiders. 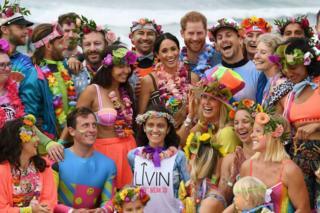 Image caption Prince Harry and his wife Meghan, the Duchess of Sussex pose in the middle of a group of people during a Fluro Friday session run by OneWave, a local surfing community group who raise awareness for mental health and wellbeing, at Bondi Beach in Sydney. 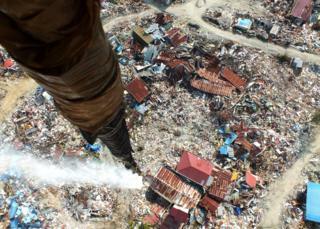 Image caption A helicopter releases disinfectant over an area affected by the earthquake that happened on 28 September in Palu, Indonesia. 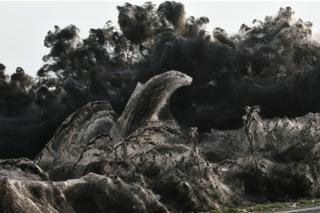 Efforts are being made to sterilise the ground as thousands are still feared buried. 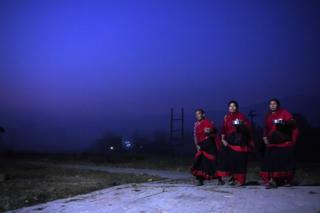 Image caption Nepali Hindu devotees arrive at Baramahini Temple during the 10th day of Dashain in Bhaktapur. Dashain is the longest festival in the Nepali Hindu calendar and celebrates the triumph of good over evil. 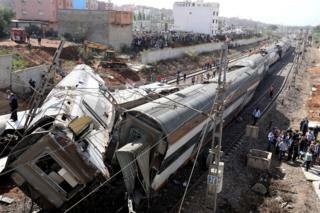 Image caption Security personnel are seen at the site of a train derailment at Sidi Bouknadel near the Moroccan capital Rabat. At least seven people were killed and about 80 were injured. 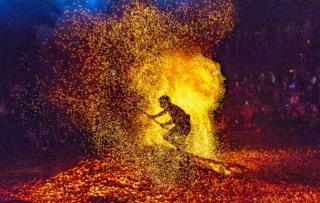 Image caption A man walks barefoot around burning charcoal to celebrate the Double Ninth Festival at Pan'an County in Jinhua, Zhejiang Province of China. 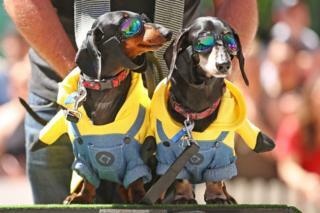 Image caption Oggy and Spencer dress as Minions as they compete in The Best Dressed Dachshund Costume Competition in Melbourne.